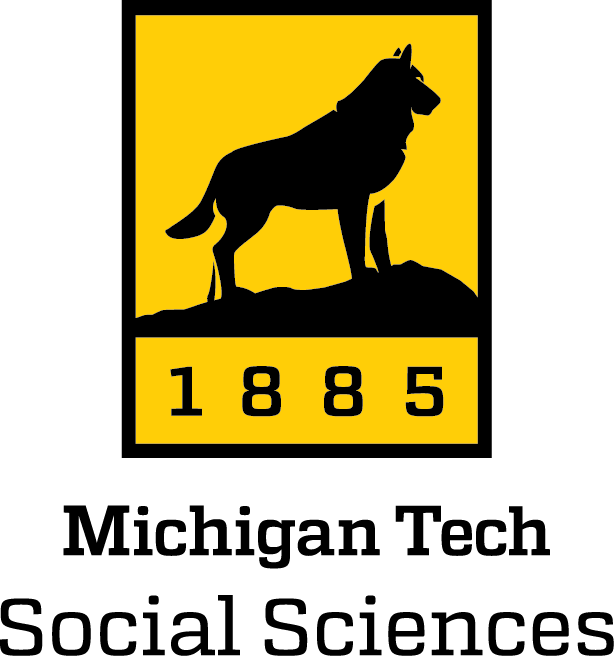 The Keweenaw Time Traveler Team works within the Historical Environments Spatial Analytics Lab in the Department of Social Sciences at Michigan Technological University. We are a multi-disciplinary team with expertise in GIS and spatial sciences, historical geography, social history, architecture, archaeology, computer science, and more. We work with local historical societies and heritage organizations to bring our regional archives to the life. Want to join us? Learn about Who We Are and get in touch here. I am a social historian who prioritizes spatial and material evidence in my investigations of American life. My current book project focuses on the spatial aspects of social power and mobility within houses and neighborhoods at the turn of the twentieth century. I interpret the different ways that people in different class and ethnic groups experienced fashionable upper-middle neighborhoods in the Copper Country. The Keweenaw Time Traveler project will create an incredibly valuable research tool for researchers like me. But the KeTT can be so much more than a research tool. By involving the public in building and contributing to this collaborative online map and database, we hope to connect residents, tourists, and anyone interested in how the Keweenaw has changed over time. This kind of community-engaged work informs my teaching as well as my research. The postindustrial landscape demonstrates the profound impacts of industrialization, today presenting a complex mosaic of uses and re-uses—many of which are informal, vernacular, and vital components of the living, descendant, landscape. My dissertation work with the Keweenaw Time Traveler is an investigation of vernacular preservation, in particular the role that common, ongoing usage plays in driving material perseverance of postindustrial properties. I'm a Geospatial Research Scientist with the Geospatial Research Facility (home to the Keweenaw Time Traveler), at the Great Lakes Research Center. I provide technical and design support to the Keweenaw Time Traveler project and all users of the Geospatial Research Facility. Prior to moving to the Upper Penninsula and Michigan Tech, I worked in local government, environmental research and as a consultant developing Geographic Information Systems and GIS Applications. It's a great pleasure to continue that work and share my experience with the students and researchers at Michigan Tech and to live surrounded by the Copper Country and Lake Superior. As an Industrial Heritage and Archaeology PhD student with an interest in postindustrial urban spaces, I explore ways of modeling “rustbelt” cities using historical and archaeological data to better understand the city as one massive, dynamic, lived-in archaeological site. Geographic Information Science is especially well adapted to studying space at the landscape-scale; I am currently experimenting with new approaches to the application of Geographic Information Systems (GIS) to the specific disciplinary challenges faced by urban and industrial archaeologists. 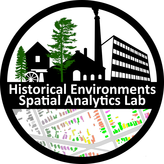 The Historic Environments Spatial Analytics Lab allows me to contribute my material culture expertise to a diverse, collaborative research team who share an interest in landscapes, the built environment and history. ​I am originally from South Carolina, recently relocating to the Upper Peninsula as a Senior Research Associate and PhD student in Industrial Heritage and Archaeology. My background includes graduate degrees in both Public History and GIS, and my developing role in historical geography is a natural progression. I am currently working with the Time Traveler on outreach activities. 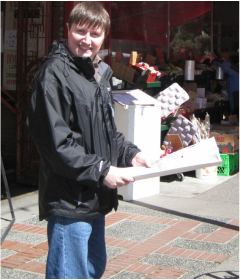 My research interests focus on communities and understanding the balance, and sometimes conflict, between preserving their identity and history along with a need for economic development. I have had a passion for geography, maps, and exploration since childhood. I enjoy asking questions about the natural world and our place within it. It's exciting, then, to contribute to learning about a place I love through the use of mapping and technology. I am currently digitizing hand-drawn buildings so that they can be easily manipulated and indexed electronically. Not only will I be recreating the past, I am learning valuable skills and tools that will aid my learning in school and beyond, so I look forward to seeing this project to fruition. I am an first year here at Tech in the Civil Engineering field. I was introduced to the lab through the GRACE program two years ago and absolutely loved it! Now I am working on the Historical Children's Health Project which aims to find relationships between the living situations of children in Calumet from the early 1900’s and their general health. I grew up in Laurium and am a bit of a history geek, so getting to study documents written over a hundred years ago is quite a treat! I am a 4th year computer science major from Dexter Michigan. I worked on digitizing most of the Calumet fire insurance plans through summer 2016. I also helped to supervise and train the students in the 2016 summer GRACE program. Fall 2016 I worked on writing script to automatically text parse city directories from the Keweenaw from the 1880’s to the 1940’s. I am really looking forward to seeing all of our work come together in the Citizen Historian’s portal. I am a first year Computer Engineering major from Calumet Michigan. I started working with the HESAL team through the GRACE project 2 years ago and worked with GRACE again last Summer as a Senior Mentor. I really enjoy the work that we are doing and being a local makes it really exciting when you learn something about your hometown that you never knew before! I am now working on the Historical Children's Health Project, which aims to find relationships between children living conditions in Calumet and Laurium from the early 1900’s and their life long health.